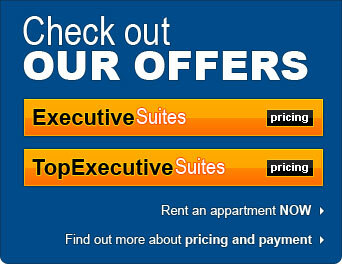 Corporate Apartments Bucharest is a specialist provider of extended stay executive accommodation in Bucharest. The management team has a background of 11 years in working with big international companies in this type of business and is aiming to lead the company to become the No.1 solution for short and long term accommodation in executive corporate suites in Bucharest. The business was established to cater for the increasing number of executives requiring accommodation for extended periods in the capital city of Romania. Corporate Apartments Bucharest is one of the first organizations to specialize in providing fully furnished extended stay accommodation, and is among the few companies of its kind to offer the service in Bucharest. Click to see the testimonials of our happy clients and what they have to say about us and our services.